BeLonG To’s vision is a world where LGBTI+ young people are equal, safe, and valued in the diversity of their identities and experiences. 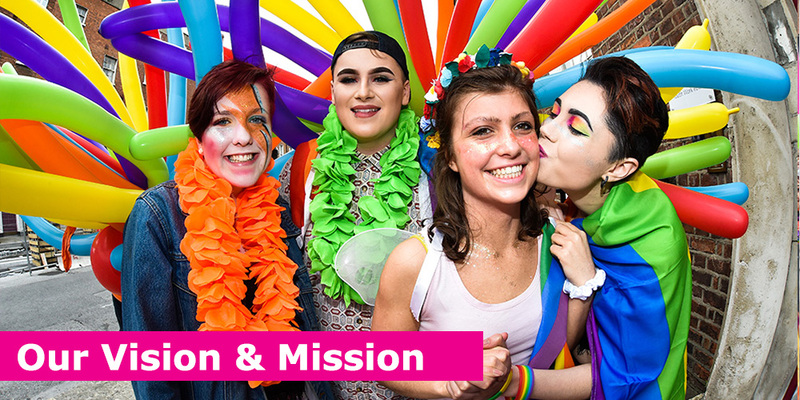 BeLonG To’s mission is to support LGBTI+ young people as equals to achieve our vision through youth work, changing attitudes, and research. Promoting human rights, social justice, solidarity, and intersectionality. Welcoming, inclusive, supportive, safe, and fun. Integrity, honesty, openness, and respect.